Scott and I had to be very strict (ruthless even) when we packed our bags and moved away from Scotland. So many things we loved and cared about had to be given away. Yet there were still a handful of items that just held too much sentimental value or reminded us of special people that we decided were worth keeping. These photos don't show them all; some things are still in a box, waiting for us to get some more shelves on which to display them, or some nails on which to hang them. I thought perhaps people would like to see though some of what they gave us that we couldn't part with. These things remind us of you every time we look at them. 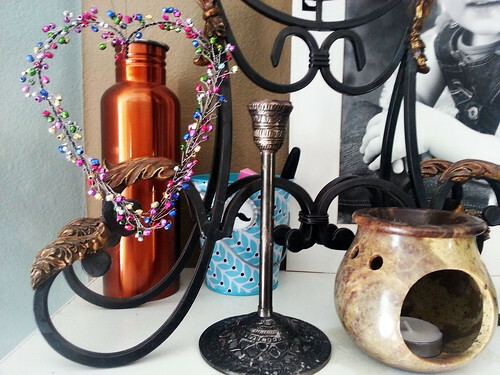 This beaded loveheart was a 30th birthday gift from my friend Julie. It hung on our front door back in our Scottish flat. It reminds me of Julie, our flat, my wonderful party, and all my am-dram friends. This candlestick (and its partner) were literally one of the only wedding gifts Scott and I received. Because we were moving to Scotland immediately after the wedding, we asked for people to give money instead of gifts. Yet a couple of people gave us small gifts, and these Moroccan candlesticks were from Kristen and Joshua. They remind us of, well, our wedding. 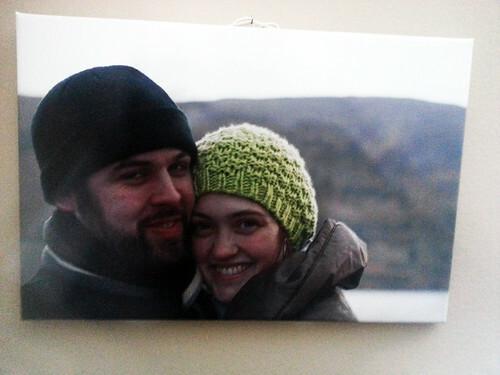 This canvas photo was a present from our dearest friends Sarah and Ian. The photo was taken by Ian on our trip to the Tain a few years ago. Scott and I had won a free three-day stay in the Glenmorangie House and could bring six other people. We invited Sarah and Ian, Maria and Simon, and Kate and Faisal. This photo reminds me of that weekend and of our friends, especially Sarah and Ian. It was one of the best weekends ever. 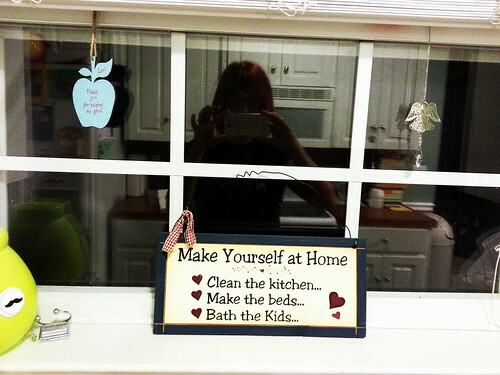 There are three things here in my kitchen window. First is a little blue wooden apple that Morag gave me at the Friday TinyTalk's going away party for me. It says 'Thank you for helping me grow.' It, along with the cuff and the lavender pouch the group gave me, remind me of my TinyTalk days, of my wonderful babies and mummy friends, and how much of a huge part of my life TinyTalk was. It also gives me a glimpse of what a part I played in their lives too, which is a wonderful feeling. It particularly reminds me of Morag and her two gorgeous children. 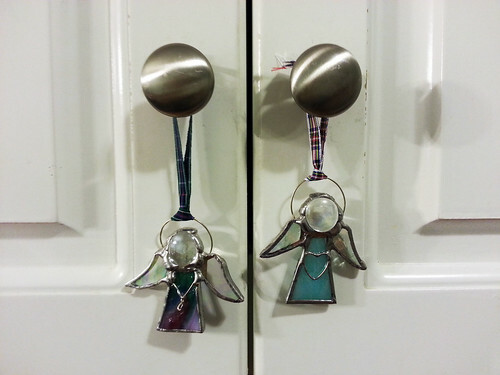 The angel suncatcher was from my friend Elaine and her family. It is believed to help create positive Chi Energy. I love it, because Chi Energy and angels are so Elaine and I think of her every time I look at it. In extension, it also reminds me of Craft Night, where I saw Elaine and Heather and Paula nearly every Tuesday night for four years, where hippy ideas, natural remedies, and Eastern thoughts were quite often the topics of discussion! The plaque is one of my favourites. This was a present from Lorna, or as my kids refer to her, Auntie Lorna. Auntie Lorna is one of those rare people who love unconditionally, give generously, and care genuinely. She has always been in Scott's life, and for as long as I was in Scotland, mine. She's always been one of the kids' favourite people. I love Lorna, and miss her. This funny little saying is so Her, and it makes me and everyone who reads it smile. These little angels were a going away gift to Fifi and Lolly from Mollie and Rosie, two girls I used to child mind. They remind me of those two sweet girls, and their lovely mummy and daddy. I also have from them a tile in Jaguar's room with a painting of the Waverly. It reminds me very much of Greenock, and I love it. The first cross, a white ceramic one with the inscription 'For this child I have prayed' came from my sister-in-law Rebekkah when I was pregnant with Fifi. It has been hanging in Fifi and Lolly's room ever since until moving here, when I decided it needed a more prominent display place. It reminds me of her and the family she now has with Pete and her two daughters, my beautiful nieces. The other cross is a heavy clay cross which has made it through two cross-Atlantic moves. This was a present from my old best friend Amanda in college. She worked in a florist shop and they sold these crosses. I loved it because it had a Celtic feel to it, and I had a boyfriend who was Scottish. She bought it for me for my birthday, and I kept it when I moved to Scotland. And I've kept it moving back. I can genuinely say now, it's probably one of the longest-owned things I have. Kind of weird. And it reminds me of Amanda and all those years pre-Scotland too. The wooden plaque has a bit of a textured past, but I love it all the same. It was a handmade gift from my ex-sister-in-law. It says 'As for me and my house, we shall serve the Lord.' At the bottom is says 'Est 2004'. It is a symbol to me of our marriage and the way our family has changed since 2004, and of my commitment to serve the Lord with my family in spite of my struggle with unbelief. These were a few handmade baby gifts. The crocheted building block has Lolly's name sewn on its sides. This was a baby gift from my friend Debbie. I've known Debbie since Fifi and her son were babies, and we've been through a whole lot together. Also from Debbie I have a painting of the Cloch Lighthouse in Gourock which is just awaiting a frame before I hang it it. These things remind me of her and her little Lyle. The cross-stitched pillow and cross-stitched framed duck were from Cheryl. Cheryl and I also go way back, and she's one of my oldest Scottish friends. We met one year after I moved to Scotland. On mine and Scott's first visit to the Greenock church, which would become our church for the next seven years, she and her husband Matthew were the first people to greet us and then invite us out to lunch afterwards. Matt and Scott have been good friends since, and so have Cheryl and I. Our kids are close too; Lolly has every intention of marrying her son one day (because he has a 'life-sized' battery operated car). These two gifts, lovingly stitched by Cheryl are very special to me, and remind me of our (short-lived) Sunday Sisters Sewing Circle, where for about four weeks we met up to embroider, cross-stitch, or in Lorna's case, fold laundry. On the September Shopping Challenge front, I made it through Day 1. I avoided Shipley's Donuts on the way home from church, and Scott went in for the ribs for our Labor Day barbecue, so I wouldn't have to. On to Day 2! 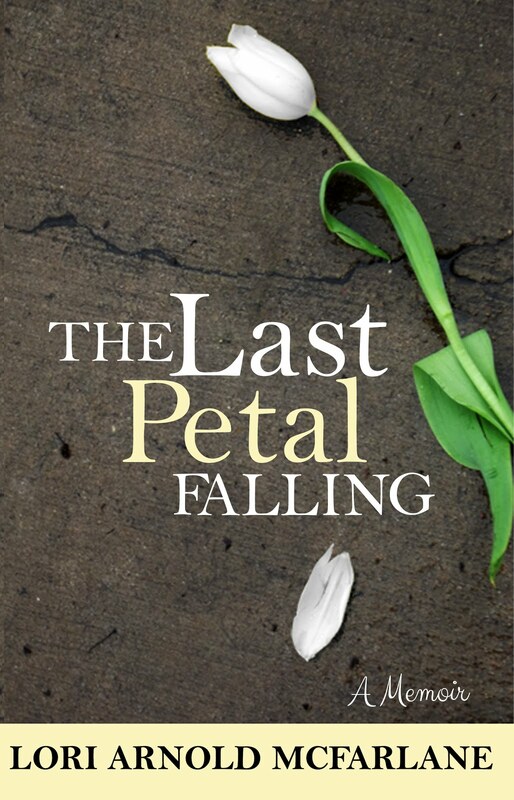 I still keep up with you all by way of this blog. 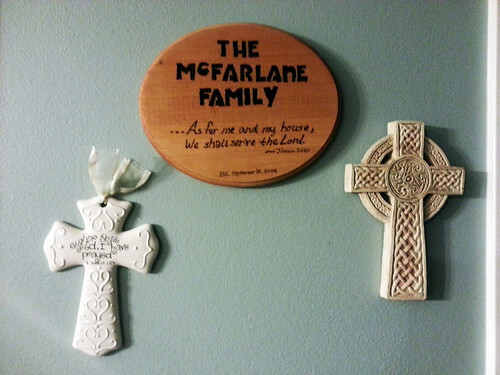 I honestly was touched that you still have the wooden plaque I made you guys. It certiantly was a surpirse. I still keep in touch with Danny and as he was first a friend since age 16 and will forever be a great friend to me despite the fact that we were not meant to be a unit. I may no longer be apart of the Arnold family but I will forever hold you all in my heart with love and wish nothing but the best of experiences for each and every family member. It makes me smile to see how well you guys are adapting to being back here. I guess what my rambling is leading to, is that it warmed my heart to see something I made out of love for you all as an amazing, strong family having made the cut. Love and Light to you all. I can't believe you have kept the block! It was the first one I ever made.